Michael L. Lipton, MD, PhD, FACR, is the Medical Director of MRI Services and an Attending Radiologist at Montefiore. He is also a Professor of Radiology, Psychiatry and Behavioral Sciences at our Albert Einstein College of Medicine. 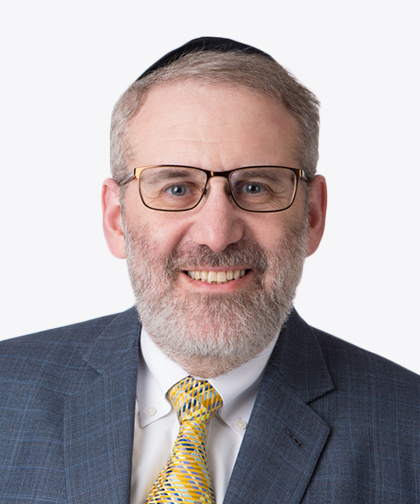 Dr. Lipton has been a member of the Montefiore team since 1997, with a clinical focus on developing advanced quantitative MRI to enhance characterization of brain diseases. He works primarily with patients who suffer persistent symptoms related to traumatic brain injury and other disorders that are not easily identified with conventional imaging approaches. Dr. Lipton received his Doctor of Medicine from Boston University in 1990. He continued his studies by attending our Albert Einstein College of Medicine, where he received his Master of Science with Distinction and his Doctor of Philosophy in Neuroscience. His postgraduate training began with an internship in internal medicine at Brookdale Hospital Medical Center completed in 1991. Over 5 years, Dr. Lipton completed a residency and chief residency in diagnostic radiology, followed by a 2-year fellowship in neuroradiology at Montefiore, completing his postgraduate training in 1997. Dr. Lipton has completed substantial research on repeated subconcussive head impacts in sports, particularly in soccer players. His work on this topic has been reported on extensively in the press worldwide. Dr. Lipton’s other research focuses mainly on the brain and has been shared in a number of presentations internationally, as well as published in numerous books and papers. In 2017, Dr. Lipton received the Distinguished Investigator Award from the Academy of Radiology and Biomedical Imaging Research. Dr. Lipton is board certified by the American Board of Radiology, is a Fellow of the American College of Radiology and is a member of numerous professional societies, including the the American Medical Association, and the American Society of Neuroradiology.